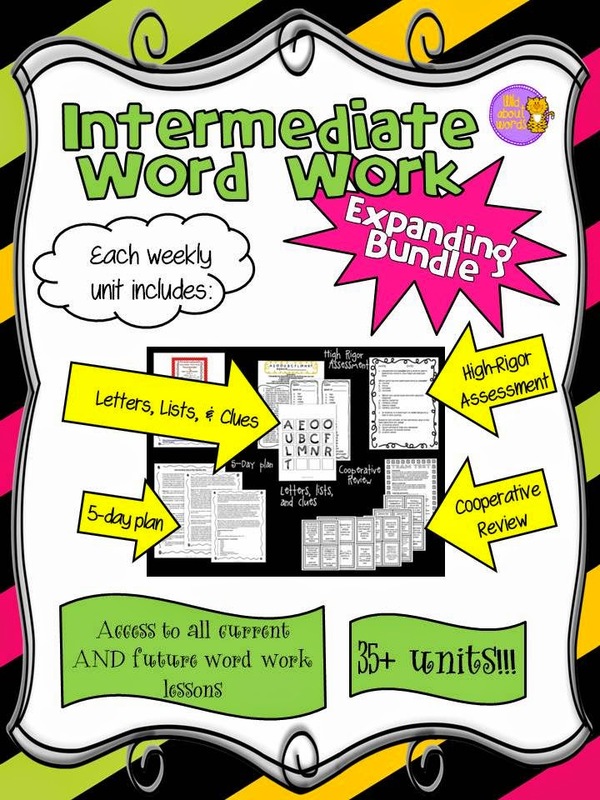 Intermediate Word Work Expanding Bundle....It's a STEAL during the TPT Sale! Introduce the list and echo read. Students compare their list to the actual list, fill in any blanks, and make corrections. "Brainstorm" additional words in contest form...we LOVE anagrams! Choral reading of the list. Explicit whole group instruction focusing on sorting and identifying word families, expanding the focus families, and adding to word wall. Timed reading of the list. Cooperative review activity. Each list offers a 5-day plan and suggestions for weekly implementation and includes everything you need, ready to print out. 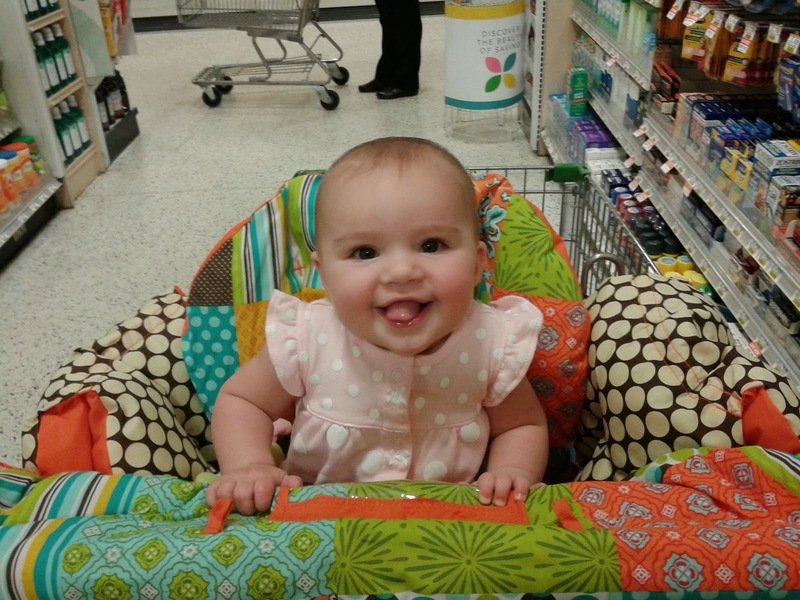 Once you've done a week or two, the kids are hooked and so are you! Before you know it, they will be bringing you new and bigger words to be their future week's list, and that is actually where this huge project started for me! There are currently 19 available units (check out this spreadsheet for focus family information on each family) but more are being added each month. There will be a minimum of 35 units once the whole unit is complete. I have created an expanding bundle which allows you to purchase all 19 units for a discounted price AND gives you access to all future units at NO CHARGE! I simply update the file, notify you in the updates section, and you've got access to the new units easy as pie. Individually, the units are $2, but the expanding bundle is available for $33, which during the sale (28% with my 20% discount and TPT's 10%) will be a steal at $23.76! Take advantage now---I have two new units to add next week and the price will go up. 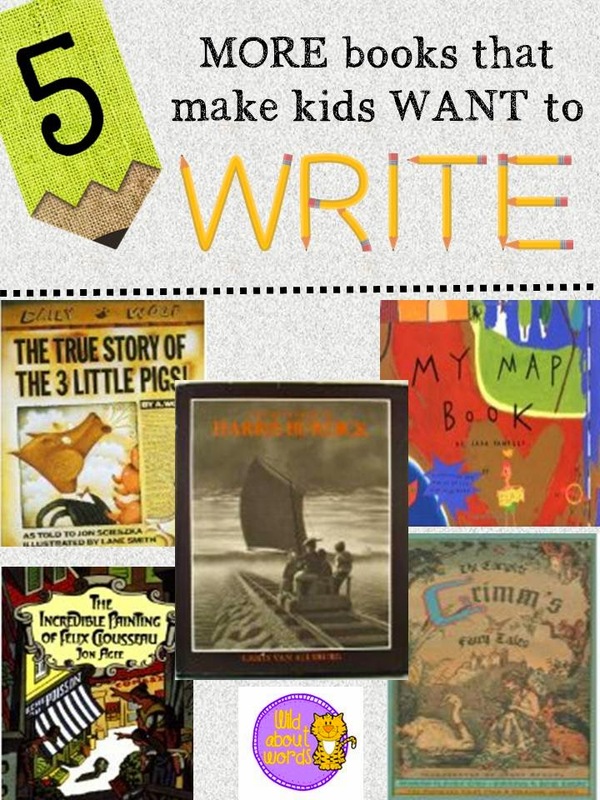 5 MORE books that will make your kids WANT to write! I am totally biased as I think ALL of Sciesczka’s books are inspiring and hysterical, but this one in particular offers a great starting point for kids as writers. 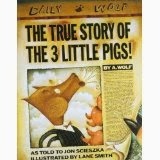 Told from the perspective of the wolf, he offers a tale that stretches what we know of the original three little pigs. After all, wouldn't YOU eat a hamburger just sitting there? 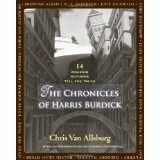 It’s a simple story and idea but we analyzed this story to death as we compared it to the original. My students not only grasped the idea of perspective but also developed a better feel for voice and plot development as we picked each section apart. As a class, we brainstormed other well-known stories with antagonistic characters, and each student selected a story to rewrite from the antagonist’s perspective. My fifth graders absolutely loved the classic Grimm’s Fairy Tales, almost to the point of obsession! There are hundreds of tales to share with similar themes and patterns that run throughout. The tales are generally short and not so sweet like the newly revised fairy tales, which is what the kids just loved! 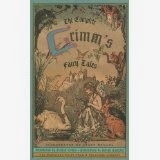 There is even a fabulous app, Grimm, that includes a large number of the most popular tales for free. This turned into another one of those “never-ending” projects. We analyzed dozens of tales (starting with Cinderella...fascinating story to compare to the Disney version!) 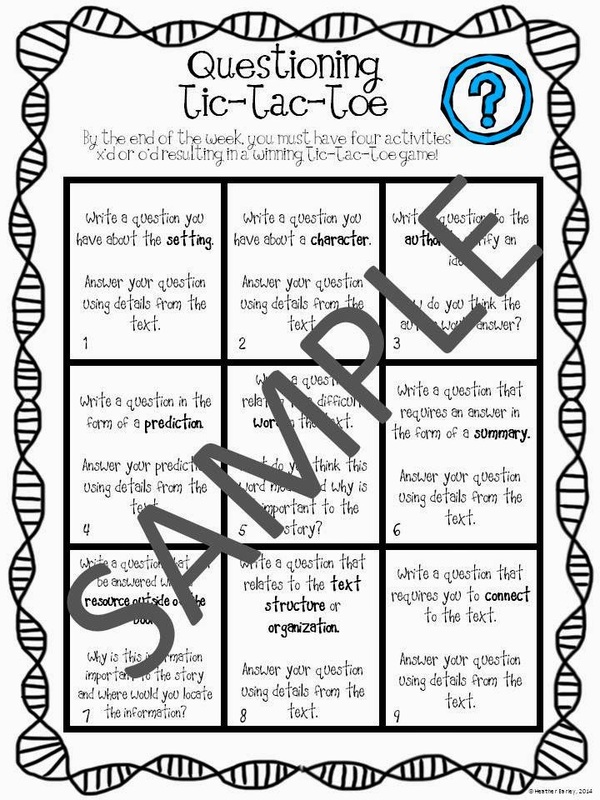 whole group, small group, pairs, and individually for themes, patterns, character analysis, plot, and MORE. Students then compiled all of this information to create their own tales with specific requirements. We published these stories using the Student Treasures program and ended up with beautifully hard bound books for FREE which we then invited parents to share at a breakfast. The students were so proud! This book holds a special place in my heart thanks to Aaron from my fourth grade class about 10 years ago. He brought this book to me in wretched condition and recommended it as our next writing project. How could I resist? Felix Clousseau is an unknown artist who enters his not so fancy duck painting in the kingdom’s premiere art contest. After, being mocked and shamed, something mysterious happens and leads to an interesting change of events with a nice little twisty ending the kids get a kick out of. It’s a very simple story and a super quick read but such a charming little story! Aaron came armed with his writing idea already, but we found several ways to inspire writing as students actually brainstormed possible venues to explore. This was a LOT of fun and something we did later in the year, making sure they were good and comfortable with exploring their creative sides! (I have to keep the ideas somewhat vague to preserve the surprises you have in store for you when you read the book!) Several students wanted to make themselves the lead character and create their own gallery in comic book form or a version of one of the mini books we had created earlier in the year (accordion/flap/index card). Another group wanted to create one specific Clousseau painting as a springboard for an entire story. 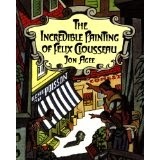 Others wanted to rewrite Clousseau’s tale altogether, starting with the last page and moving forward. 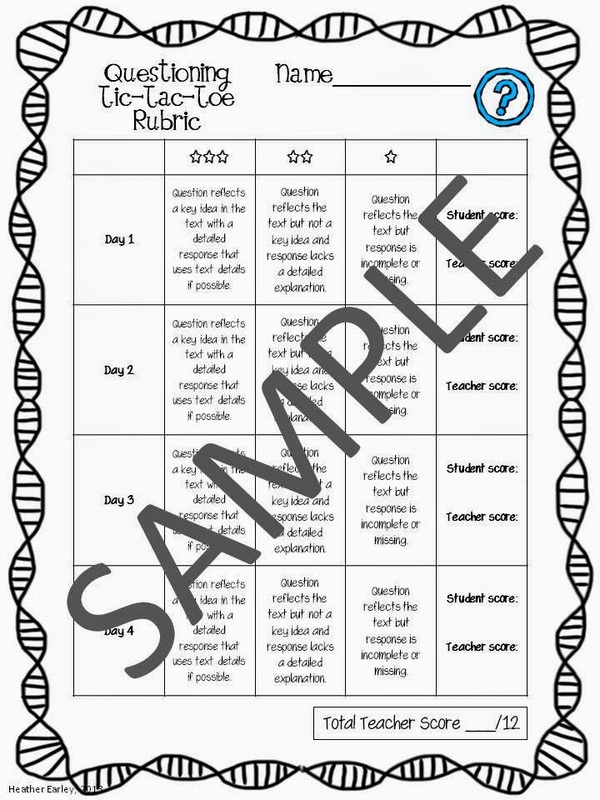 However, you decide to use this little gem, your students’ will be sure to love it! An inspiring book Illustrated from the perspective of a child with two-page spreads of the stuff that is important to kids, mapped out. There are ordinary maps like the neighborhood and school, and then my favorites…a map of my heart and a map of my dog. LOVE IT! 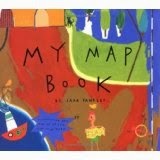 Each “map” points out the important aspects like mud, chocolate, and mommy and daddy. 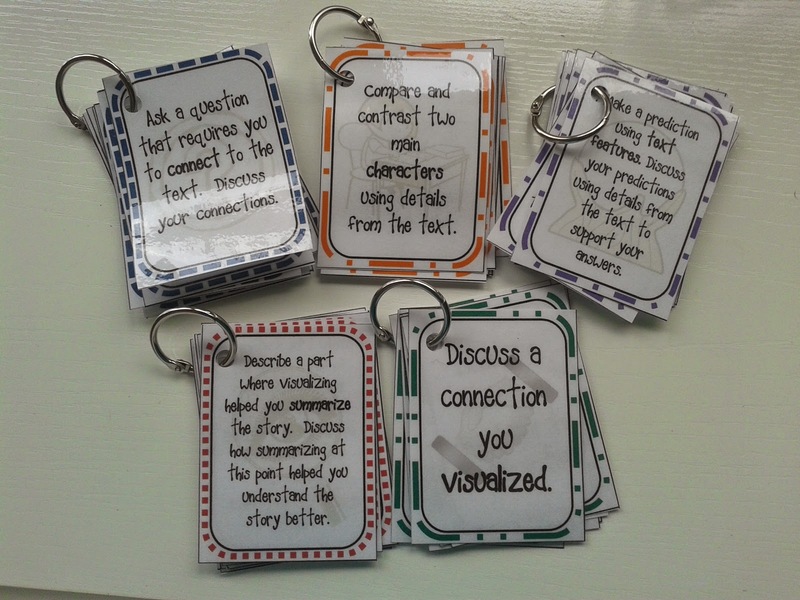 This is such a perfect way for students to start brainstorming writing ideas. Anything can be mapped, and this is such a unique way to encourage kids to elaborate as well. Starting with a map of your heart might include your parents, your pets, school, books, etc. Each of these is a “seed” for a new map. As students draw their maps, they begin to naturally recount personal narratives. 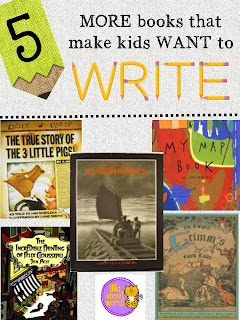 Read about five OTHER books that have driven us to WRITE, WRITE, WRITE on Minds In Bloom and grab your freebie that correlates with "The Secret Knowledge of Grown-Ups," my #1 favorite book that inspires writing for kids! Those first few weeks of school are always so chaotic for me with the paperwork, county assessments, and STUFF! What I want to do more than any of those things is really give the kids a view to how our classroom will work for the year. 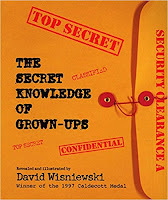 Many years ago, a teacher friend gave me the book, "The Secret Knowledge of Grown-Ups," by David Wisniewski. I read it, laughed hysterically, and filed it in my brain under "someday." 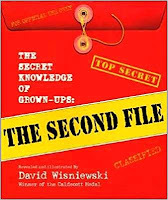 Wisniewski introduces an ordinary rule like "eat your vegetables" and creates an outlandish "truth" behind the rule, with the understanding that grown-ups have a responsibility to keep all of these truths guarded from children (apparently broccoli used to resemble a dinosaur and was a meat eater?!). 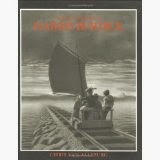 This book is a dream as far as mentor texts go. Wisniewski's word choice and voice are second to none and, incidentally, he won the Newbery Award in 1997 as well! So not only are there a ton of opportunities for modeled writing lessons, but his use of illustrations and text features to add meaning to the text are superior. The stories are short- usually about 2-3 pages with illustrations- just right for a quick read aloud, mini lesson, and independent time. BONUS!!! There's a "Second File" I later discovered that helps extend our read aloud and analysis time! After routinely introducing the classroom rules for the umpteenth time, it occurred to me that this book would make a fabulous link to this otherwise dull task. I started by reading just one rule to the students, and they were hooked! It snowballed from there. Each day we read a new rule, examined his stories for structure and technique, and completed a small part of the writing process. 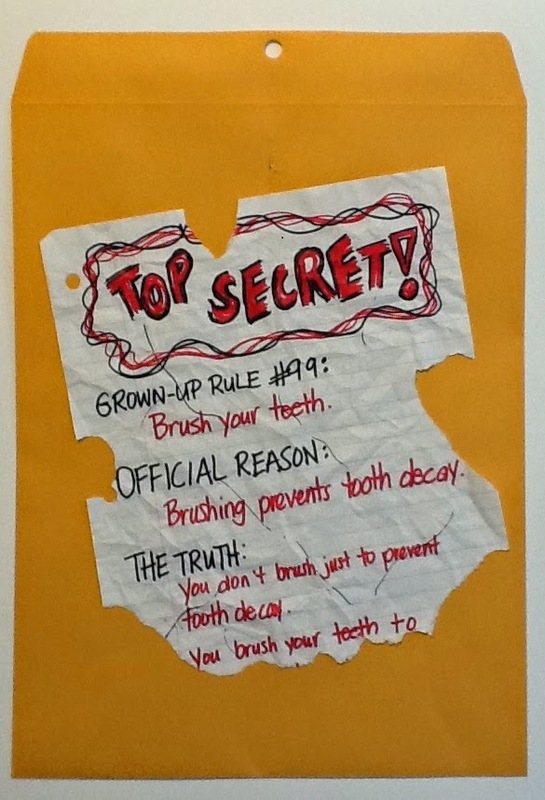 Some students used our classroom rules as inspiration, and others chose to use rules from their house. In three weeks, we had completed the writing process, talked in depth about voice and word choice, initiated conferencing structures, practiced cooperative learning structures, and explored multiple reading concepts including summarizing, plot, and text features. This was a fabulous way to start the year as it enabled us to address so much of the curriculum on a daily basis, and the kids looked so forward to working on it each day (as did I!). We ended up with a display of file folders that mimicked the author's cover illustration and followed his introduction for each story. They were PERFECT for parent night! I think this would also be a good way to end the year during that last month when the kids need a little extra "fun" in their days. This has become my "go to" lesson now! 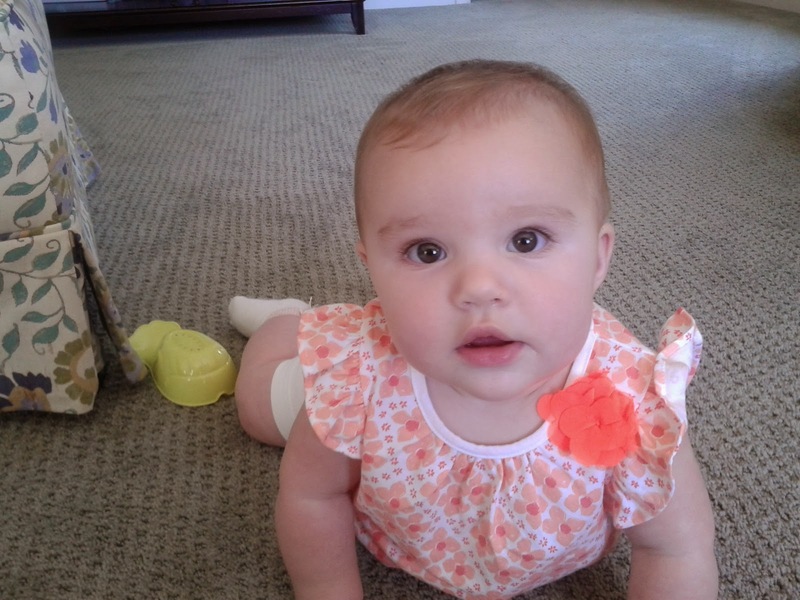 I have a little freebie that will get you started with the story if you are interested. Included is the plan we created together, draft papers, a scoring rubric, and a feedback form. The feedback form was really fun! The first time we used it on parent night and parents and family left positive notes for their stories. We left them on the desks, and the next morning, I had donuts for the kids. While they munched away, they circulated and read each others' stories, leaving positive and specific notes. This was a nice finish and the kids enjoyed reading their feedback. Have a super start of the school year, and keep "The Truth" from themmmmmm. I hope you enjoy this book as much as we have! Click the image for your freebie!